This internet ad design was placed on the ASHRAE* site to support print advertising in the ASHRAE Journal. 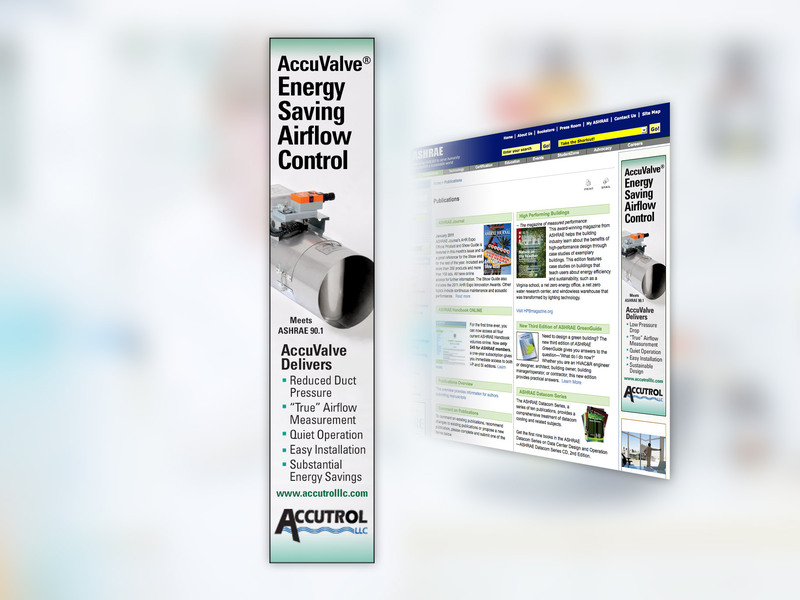 It highlighted Accutrol’s flagship product, the AccuValve. * ASHRAE, founded in 1894, is a global society advancing human well-being through sustainable technology for the built environment and one of the most important organizations in the HVAC industry.